Construction sites, cranes in the air, the fast ferry and then the Dixie Queen paddle boat wanders up the river. 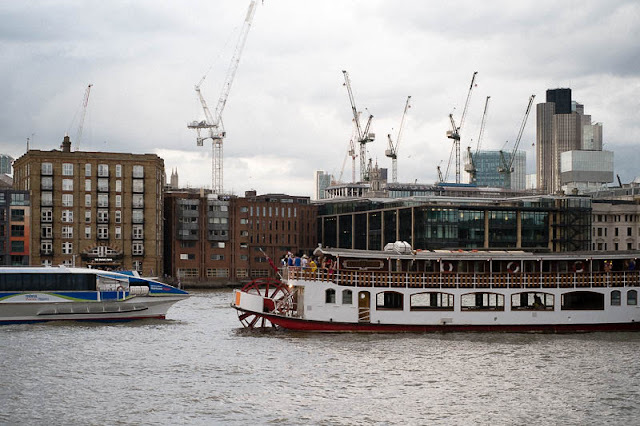 There's always something going on along the river! The contrast between the two boats is quite striking. There is a tremendous amount of economic activity going on there. Look at all of those cranes! I like this and I like to walk along the river. An interesting and very nice image.